Last weekend, I went out riding with a couple of friends who were trying it for the first time. 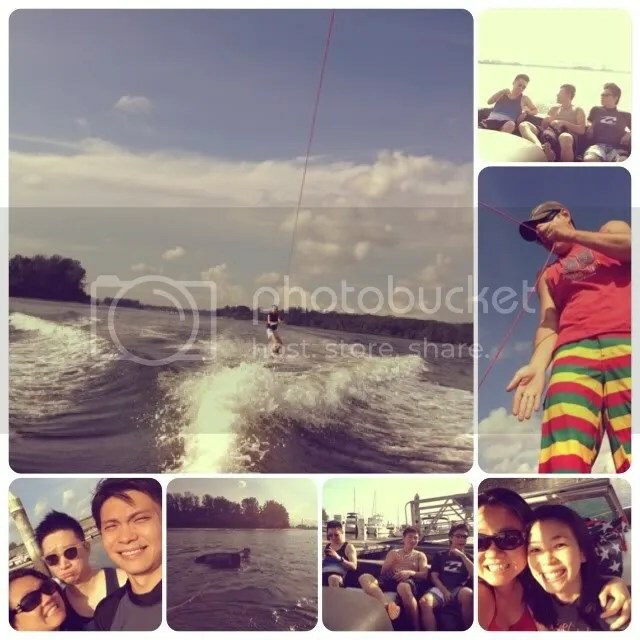 Suffice to say, they had fun 🙂 Wake boarding has way with people. Pulling you in till you think about it a lot more than you think about much else. So here I am on a Tuesday night wondering if I could squeeze in a ride tomorrow morning before work. Hmmm … maybe I could call Jim for the last ride of the day instead. It’ll give me more time on the water. Meanwhile, hope you’re having a wonderful Tuesday. 2 days down, 3 more to go.